Samsung is expected to introduce in-display fingerprint sensors in its Galaxy S and Galaxy A lineup with shipments expected to start from late 2018 or early 2019. Just a few days after Qualcomm reportedly won orders from Samsung for its upcoming ultrasonic in-display fingerprint sensors, a new report has surfaced claiming that another supplier will make optical in-display fingerprint sensors for the Galaxy A-Series of smartphones. A report coming out of South Korea claims that Samsung has finalised Aegis Technology as the supplier of these sensors. 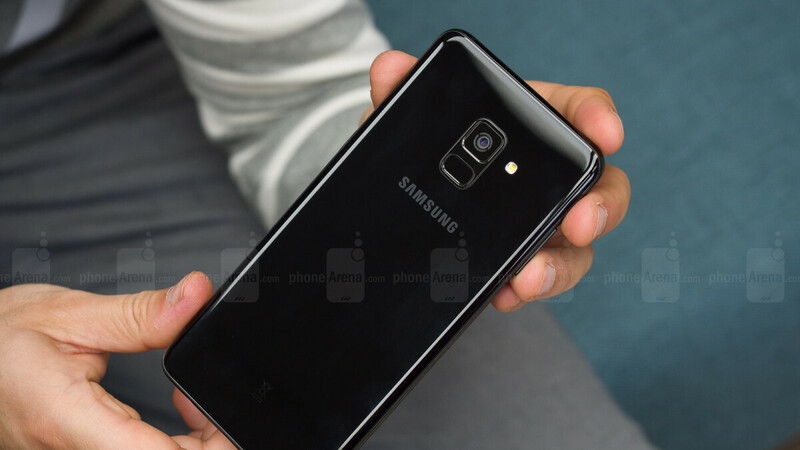 As per a report in ETNews, Taiwanese company Aegis Technology will be supplying the in-display fingerprint sensor for the Samsung Galaxy A (2019) lineup. The report claims that the supplier will be making optical sensors for the phones, instead of the ultrasonic ones that Qualcomm will be supplying to Samsung for the Galaxy S10. The new ultrasonic sensor is said to be more advanced than the current optical solutions in the market, faster, and sporting a larger recognition area. In terms of major differences, the optical sensors sit at the front of a handset, while the ultrasonic sensor sticks to the back of the display panel. Also, optical sensors are reported to affect image quality on the display, and are also vulnerable to lighting and other outside influences. Ultrasonic sensors also take a 3D image of the fingertips, taking into account ridges and pores, making it more accurate than the optical sensor. As mentioned, several reports in the past have claimed that the Galaxy S10 will come with Qualcomm’s ultrasonic sensor. Citing industry sources, the report claims that Samsung Electronics will introduce Aegis Technology’s in-display fingerprint sensor to the Galaxy A-Series in 2019. Sources familiar with the matter said that that two companies (Aegis Technology and MediaTek’s Goodix) competed against each other to get the contract for making the sensors, but finally Aegis Technology received it.